We have a vast experience at providing high-quality hard floor cleaning and polishing services to residents and commercial property owners in and around Streatham SW16. A hard floor is an expensive investment and as such, requires proper care and regular maintenance. The service we provide is carried out by strictly vetted, trained and motivated professionals who never fall short of exceeding customers’ high expectations. Moreover, we are here to prove quality and steep rates do not necessarily go hand in hand as becomes evident by our sensible pricing. Over the long years of our company’s existence, we have made thousand of customers happy, which explains why our hard floor cleaning and polishing services are so sought-after in Streatham and the vicinity. To further our customers’ convenience, we are available throughout the week, including on bank holidays. 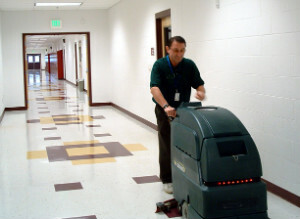 Call us to request a quality hard floor cleaning as we will readily come to your aid even on short notice. Our team of proficient and friendly technicians in SW16 will inspect your floor free of charge to determine which cleaning solutions should be used. The inspection also enables us to draw the price in advance. The technicians will proceed cleaning the floor, using a specialised machine for the purpose as this allows them to deliver the best results. Should the technicians come across any indentations, scratches and holes on the surface, they might recommend you to add buffing and polishing to the service. The low-rotation buffing machine will gently smooth out all irregularities in the surface, allowing your expensive floor to live up to its full potential. Our experts will finish off with the application of a sealant – by “sealing” the surface of the floor, they will protect it against future soils and damages. The final result will be an elegant floor you can see your reflection in. Protect your investment by booking our high-quality hard floor cleaning and polishing services in London SW16. We never fail to deliver superb results!